Having already been released in late 2016 for various other platforms, it was only a matter of time before the Nintendo Switch gobbled this title up. 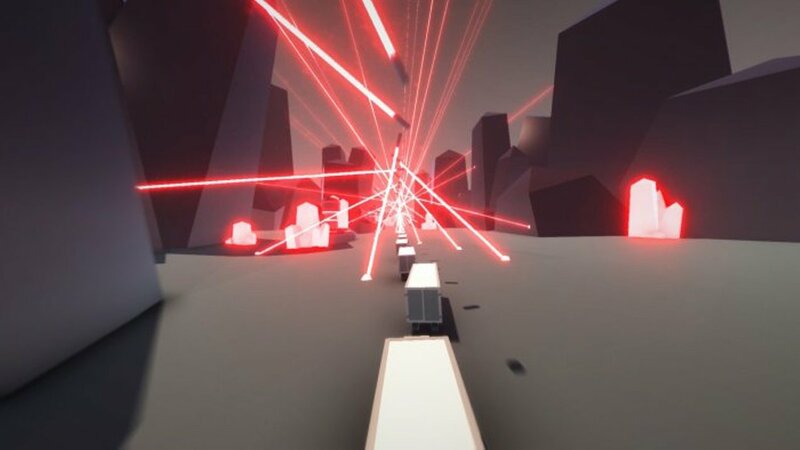 This game screams “on-the-go” and this is exactly what Clustertruck wants to be. 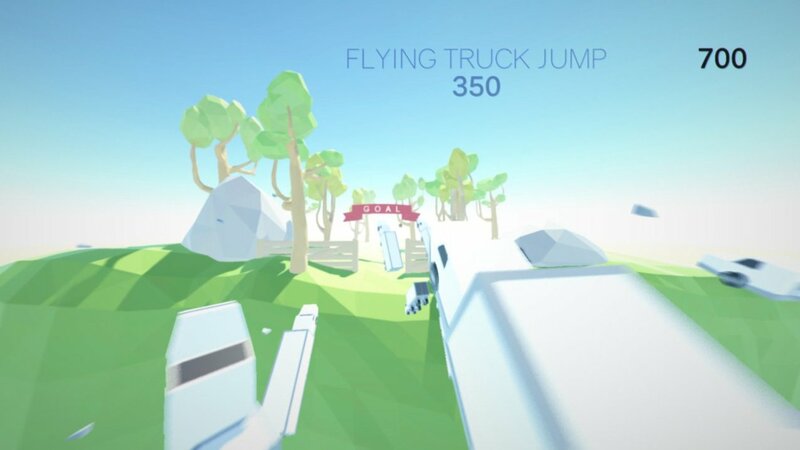 The idea for this game is simple: you start on the back of a transport truck in first-person and attempt to jump and strafe your way along many other transport trucks and obstacles along the way until you reach an end goal. Sounds easy on paper but trust me when I say that this game gets frustrating (but sometimes in a good way). You are going to die a lot and this is the point of the game. Through trial and error you are meant to figure out each level as the worlds progress. There are 9 worlds in total (in the base game) each with 10 levels. As you would expect the levels get harder the further you get into the game. The game itself becomes more about surviving the terrain rather than finding the back of another transport truck. The addicting part of this game is trying to figure out each and every level based on the world’s mechanics and obstacles. Some worlds will be straight forward with you just trying to avoid objects that are hurdling towards you. Others will present you with scattering lasers or shifting grounds. When you die, you just hit a button and start again immediately. No need to stop and think, just go. Clustertrucks also has you gaining points as you go through levels. If you get a lot of airtime you will rack up some extra points. If you get a close call on death you will rack up some more points. These points can get put towards abilities that you can assign to your two of your trigger buttons. Some abilities include double jump, dash, jetpack and even a slow-mo effect. You don’t have to use these abilities ever but they are a nice addition to make the game a little more accessible to those that are having trouble. What makes this game decent for the Nintendo Switch is that it is a great pick-up and play type game. There is no story to get engulfed in. There is no world to escape to. Not even a single loot box to keep you coming back for more. It is just a simple idea presented in multiple stages for you to enjoy at your leisure. Completing a few levels on the subway, on the train or even on a car ride still feels satisfactory enough when you complete them. My only gripe with the game would come down to the controls. In 2018 I should be able to map my own controls to the buttons that I want. I get disoriented when I have to push the A button to jump and the ZR button to run. Let us choose. Please. Clustertrucks for the Nintendo Switch is a decent addition to the already steadily expanding library that the Switch is offering. Having something like this for on-the-go fun is entertaining and frustrating all in the same space. I would recommend this title to those that have never played it before and want to experience something with a challenge to get your blood pumping.